Among the many things that Filipinos value is the family. The Filipino family is incredibly close that you would see three generations of family members in one dwelling place, especially in the rural areas. It is rare for children to take their parents to assisted-care institutions because it would be ingratitude to the parents when children do that. During special holidays, like Christmas Day, New Year's Day and All Soul's Day, Filipinos return to their hometown to attend family reunions and also to visit family members they have not seen for some time. In fact, the government always declares these days as non-working holidays so that employers will allow their employees to return to their respective hometowns and spend the holidays with their families. Family closeness is not concentrated within the nuclear family alone. It extends to parental siblings and cousins. 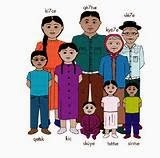 In fact, the church prohibits marriage between second degree cousins, these are children of your parents' cousins. It could be because of genetic reasons, nonetheless, close family ties play a big factor in this also. In all aspects of one's life, family relationship plays a big role. One's responsibility to the family does not end at all. In every aspect and development of a child's life, the family is always present: from his childhood until his adulthood. 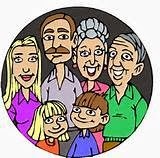 Family members will always come to the rescue should one member face a crisis or be in dire need. Occasionally, misunderstanding can happen and factions will start to form and the clan gets divided, but that passes, like all things. During important happenings like supporting a political endeavor of a family member, you can bet that an entire clan will support their own. The popular adage "blood is thicker than water" becomes apparent and dependable in moments like an election. When someone also needs assistance in getting employment, a family member will always step up and will give employment leads in order to jump start a relative's career. During occasions like this, close family ties becomes a blessing among us Filipinos. Of course, there are occasions when this becomes a liability. Filipinos almost never refuse or turn their backs from their relatives (or risk being the subject matter at mealtimes.) So they extend help even if it is almost against their wishes or even have to open their doors and give shelter to a relative that needs a place to stay even if it will take weeks, months or years (in worse scenarios). Foreigners find this annoying at first because locals tend to poke their noses at their guest's every move, even in their private lives, however, when foreigners become accustomed to being cuddled by a family and fussed over, the foreigner will miss the closeness that he experienced living with a close-knit Filipino family.